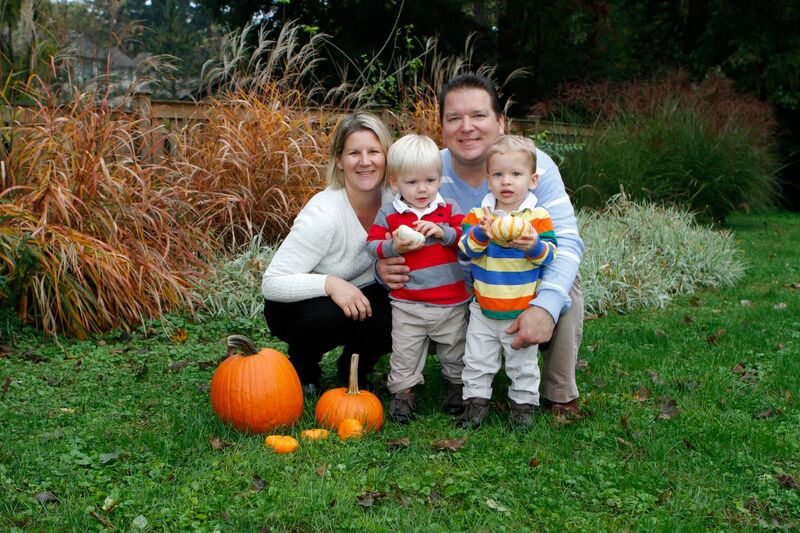 We are so excited to introduce Mara Sventeckis as our January Mom of the Month! Mara has been a member of Our Village since July of 2015. After more than a year of Stroller Strides, Mara made the leap to Body Back, and saw amazing results. Her determination and focus are evident in every workout. You can find her most days at Wheaton Stroller Strides, surrounded by her happy, spunky, and smily boys, Peter and Martin. We're so happy to have you in Our Village Mara! Congratulations! Hometown: I grew up in Lombard and have lived in Warrenville for the last 5 years. Tell us about who is in your family: My husband Erik and I have been married the last 10 years and we have 2 year old twin boys Peter and Martin. Current/Previous career: I worked 14 years as middle school special education teacher. I am currently a full time home manager – a wife, teacher, parent, and adventure planner for my sons. What was your childhood ambition? My childhood ambition was to be a singer. I sang in the school and church choir as well as performed on stage with my father’s band “Cikagas Piecisi”. What does motherhood mean to you? Motherhood means showing your kids the best of you. Yes, there are sleepless nights and shower less days, spit up on your clothes, but that doesn’t matter. Motherhood is Peter and Martin’s smiles and laughter. It means love, cuddles, tickles, dance parties, and creating memories. What is the furthest you have been away from home? The furthest I have been away from home is traveling to Latvia, a country located in Northern Europe along the Baltic Sea. I am of Latvian heritage and still have extended family living there. I also participated in one of Latvia’s song and dance festivals with a Chicago folk dance group. How did you find FIT4MOM? I heard about FIT4MOM while shopping at the Wheaton Farmer’s Market. I stopped at the FIT4MOM booth and it was exactly the type of exercise program I needed. Favorite exercise: I love planks because it strengthens my core and back muscles. Proudest moment: My proudest moment was the birth of my twin boys. Tell us something about yourself that would surprise us: I am a thrill seeker and am searching for my next adventure. I have enjoyed skydiving, hand gliding, riding in a NASCAR race car, waterfall jumping, and riding in a helicopter with no doors. I am afraid of heights but that hasn’t stopped me.